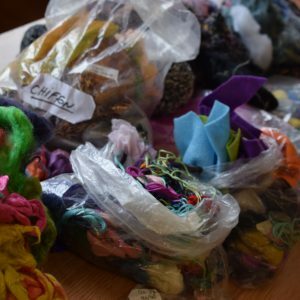 We can’t think of a better location for a felt making workshop than on our farm amongst the Lincoln Longwool sheep, Herdwick sheep and alpacas. 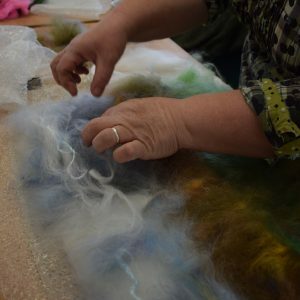 Come and try this traditional method of making fabrics under the guidance of textile artist Heidi Street-Ward. 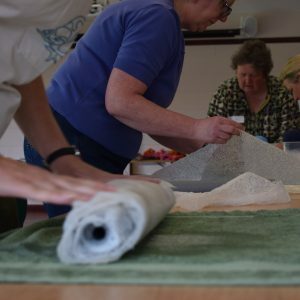 Enjoy a day learning how to make a piece of handmade felt using simple wet felt making techniques. 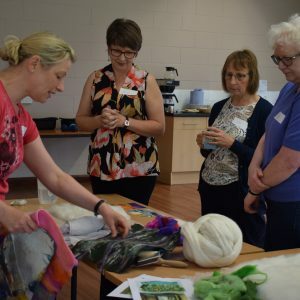 You will have the opportunity to use a range of colourful merino wool tops and other natural fibres to create shapes and textures within your felt design inspired by landscapes or seascapes. We will focus on blending techniques with wool carders to create ‘painterly’ areas within your felt piece. You will also have the option to add extra decorative embroidery and stitching when you get home. 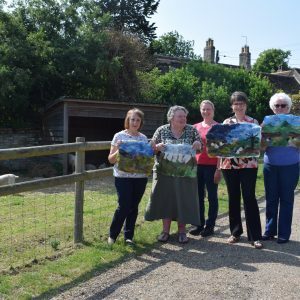 Our Felted Farm Landscapes workshop will run on Saturday 25th May from 10:00am till 4:00pm and will cost £50 per person. 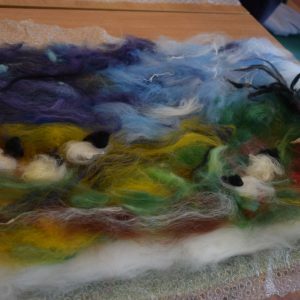 This workshop is ideal for beginners or students with some felting knowledge. It is suitable for anyone aged 16+, those under 18 must be accompanied by an adult who has also purchased a felting ticket. The sheep shearing show will take place in unheated outbuildings situated a 300m walk from our main entrance, with uneven floors. Please contact us if you would like to participate in this workshop and have questions about access.